Located in the heart of beautiful Sofia, opposite the National Palace of Culture, surrounded by the South Park and overlooking the Vitosha Mountain, Hilton Sofia is a landmark property in the city. Spacious, stylish and modern venues, resplendent with natural light, provide you with an unparalleled environment in which to work and relax. From the daily airport shuttle through the fully-equipped Business Centre and 2 Executive Floors with Executive Lounge to the creative food service and elegant dining: enjoy the Hilton Sofia experience. 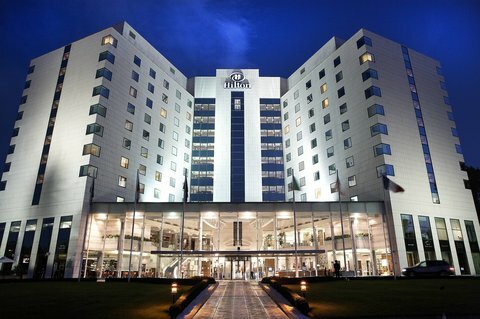 The most prominent hotel in Sofia boasts 245 rooms, including 54 Executive rooms, 17 Suites and 2 rooms for disabled guests, all equipped with wireless Internet connectivity, in-room safe, coffee & tea making facilities, satellite TV, pay TV, iron and ironing board. All rooms are decorated in cool, calm tones and have soundproofed windows. Work in comfort at the desk with ergonomic chair or unwind in the well-appointed guestroom setting. 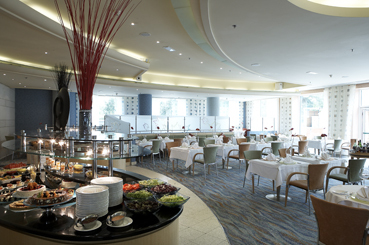 Hilton Sofia provides highly flexible facilities for virtually every type and size of meeting. All indoor venues are versatile and suitable for social occasions, receptions or formal meetings with various set-ups. Our “Hilton Meetings” services ensure 6 multi-functional meeting rooms with daylight, “eight-hour” chairs, Internet access, capacities from 2 to 50 people, as well as a modern and extensive Business Centre with Internet connectivity. For conferences and banquets, Hilton Sofia offers a ballroom for 320 people as well as full service off-premises catering. High-speed Internet connection is available in all meeting rooms, while wireless (Wi-Fi) Internet – in all public areas.